In addition to the tank itself, you will need a lot of supporting hardware to make your saltwater aquarium go. Lights, filters, heaters and more. 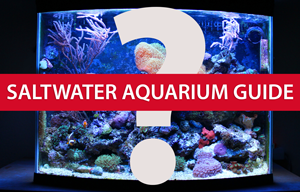 Read more about the various aquarium hardware that you may want to investigate for use in your setup.